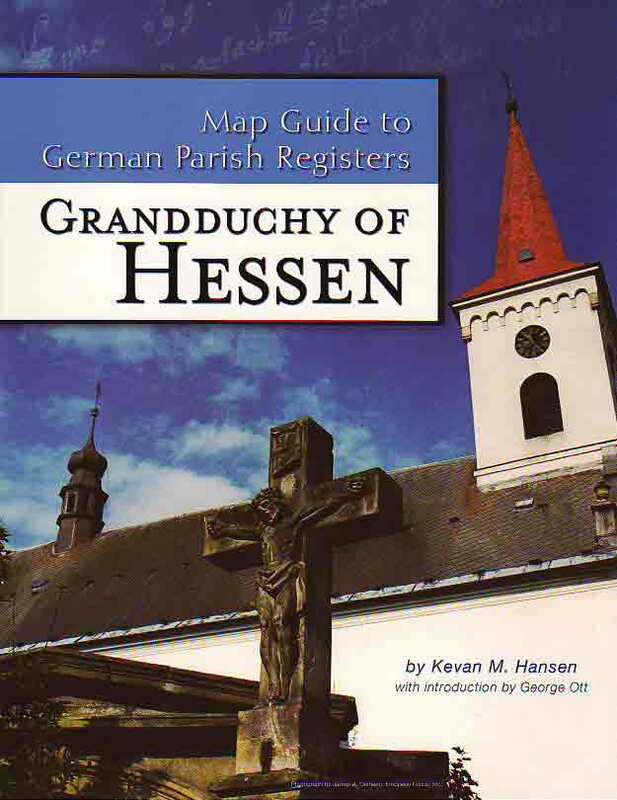 Published by Family Roots Publishing Company, Volume 1 of the German Map Guide series was published in 2004 and has been acclaimed by genealogists everywhere. Written in English by Kevan Hansen, the volume was principally written to help family historians figure our where their family may have gone to church – and left vital records behind that may be seen today. This is the first of an in-process series covering all of Germany. Even the smallest places are listed in this series – some with as little population as one person! These places are as of about 1870. If the place existed prior to that date, it will most likely be listed. If the place was named after that date, the chances drop. The volume covers 1,582 places (usually towns). Gives the Family History Library microfilm number for the family's parish records - allowing you to often view the Parish Registers that include the vital records of your ancestors at a Family History Center near you!